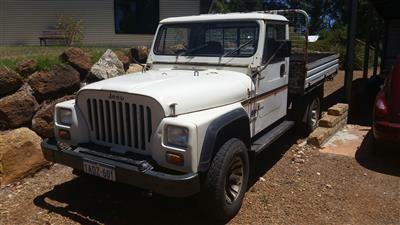 Jeep Truck Lost: The CJ10 Story! The Jeep Truck generally has had a pretty difficult time being really successful in the general marketplace when competing with the bigger automakers in the U.S. But that should really come as no surprise to most of us Jeep Lovers who have realized for some time now that most tough duty Jeeps such as the Willys', CJ's and Wranglers were not necessarily designed for the masses (although the "masses" don't know what they are missing). 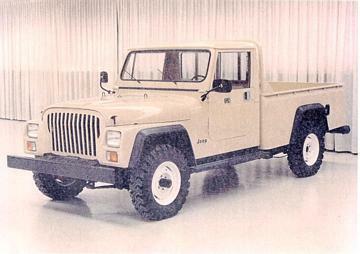 Just as the "Universal" style Jeeps are special purpose unique rigs, so have been most of the civilian Jeep pickup truck lines introduced throughout the years...which would include the Willys Pickups, the J-series, the original Gladiators and the MJ Comanches. 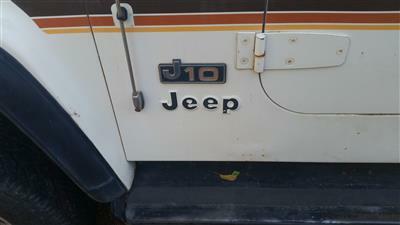 The CJ10 is rarely seen in the U.S. primarily because it was only sold for commercial use to the military and overseas markets. 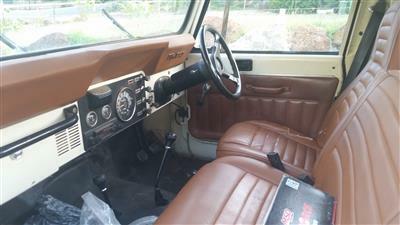 This Jeep truck shared much of it's appearance with other CJ Jeeps in the cab interior as well as much of the front exterior. 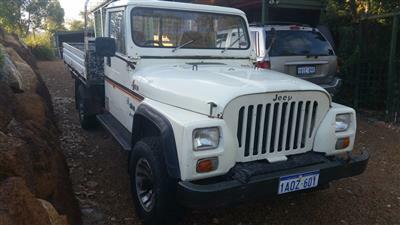 The CJ10 had rectangular headlights similar to the YJ Jeeps. The grill and headlight combination was a bit odd looking, but overall this was a pretty nice looking utilitarian pickup. The truck sat on a 119 inch wheelbase and was available as a 1/2 or 3/4 ton pickup. Engine options included the 2.5 liter GM 4 cylinder, the 258 c.i. 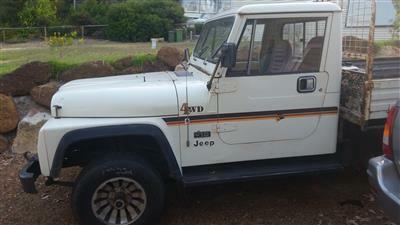 6 cylinder and even a Nissan 3.3 liter diesel. It was also available with a 4-spd. 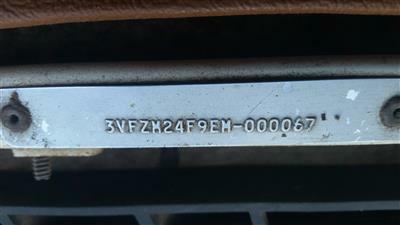 or automatic transmission and had a NP-208 transfer case. Dana 44 axles front and rear were standard with an optional Dana 60 rear axle available. Two wheel-drive versions called the CJ10A were also used in some quantity by the Air Force as aircraft tow vehicles. So...there you have it. The last of the CJ lineage...at least in name. 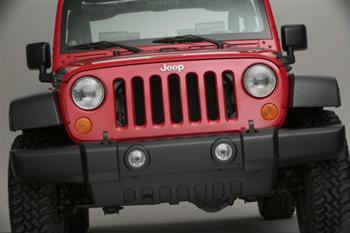 Who knows...Chrysler/Jeep may have another great little concept in the wings to turn into reality. Could the CJ name possibly be resurrected someday? Hmmmm...how does a CJ11 sound? 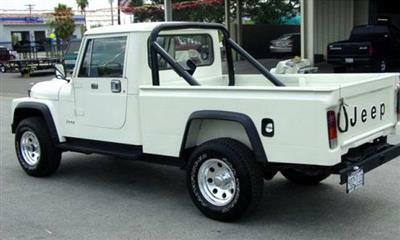 The old CJ10 Jeep Truck has some resemblance to the new Concept Jeep JT pickup..click here for more on the JT! Jeep Gladiator Concept Pickup Page!